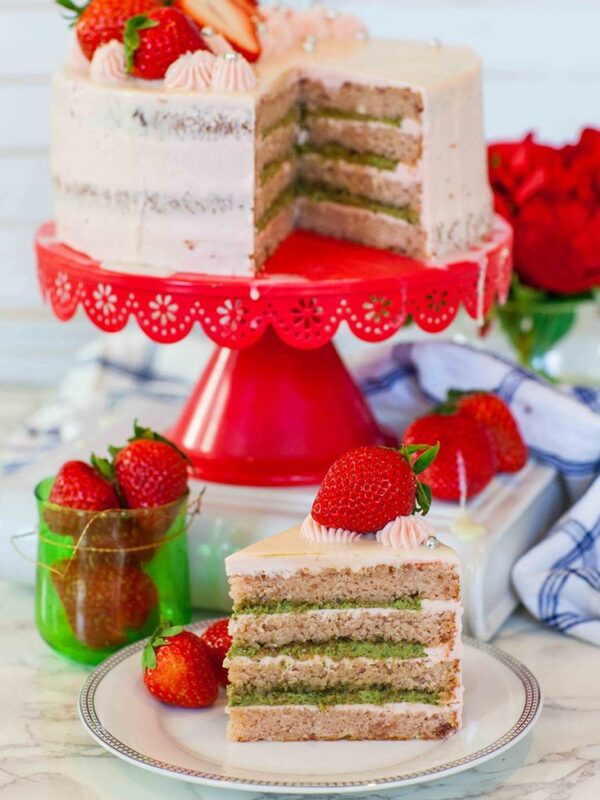 If you’ve never tried strawberry and basil together, you’re in for a treat with my Strawberry Basil Cake! The flavor combination is delicious, unique and extraordinary! 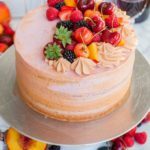 This strawberry cake is made with vanilla strawberry cake layers, filled with a basil whipped cream frosting, and then frosted with a strawberry buttercream. 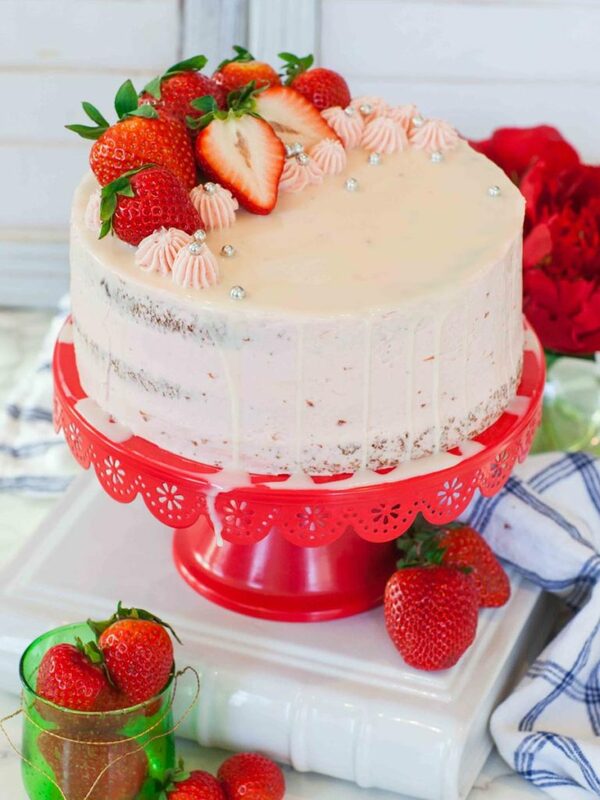 A white chocolate glaze and fresh strawberries offer the perfect finish! 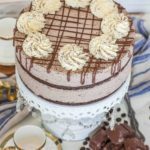 This unique cake flavor is perfect for birthdays and other special celebrations! Watch my video recipe for my step-by-step instructions! Want to get notifications when a new recipe is up? 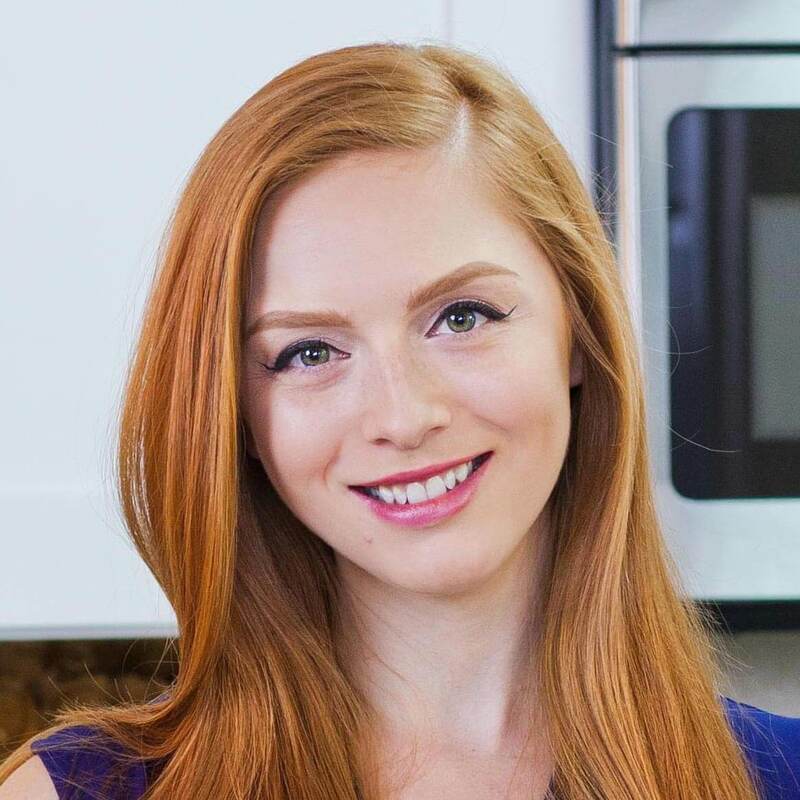 Make sure to subscribe to my YouTube channel and you’ll get an email whenever a new recipe goes live! Strawberry and basil together is the newest culinary flavor twist. I previously made Strawberry Basil Eclairs and Strawberry Basil Cupcakes (recipes linked below!) and both times I was blown away with the flavor! 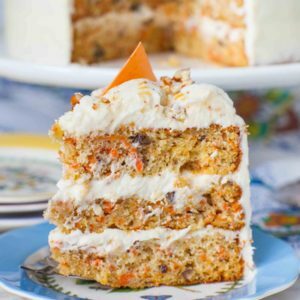 It’s so unique and different, yet it works so well for desserts! To add the most basil flavor, I use a whole bunch of fresh basil for the filling combined with confectioner’s sugar. It makes for a sweet and herbaceous filling! For the strawberry cake layers, I used my ‘Basic Vanilla Cake’ recipe, then added the strawberry flavor. 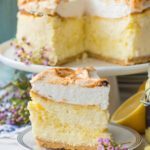 This basic vanilla cake recipe is great for so many different recipes – just add extracts, fruit preserves, chocolate or other fillings. For my strawberry basil cake, I used chunky strawberry preserves and a bit of strawberry emulsion. This concentrated extract also includes color, which is perfect for this recipe. I use this Lorann Oils Strawberry Emulsion (affiliate link). 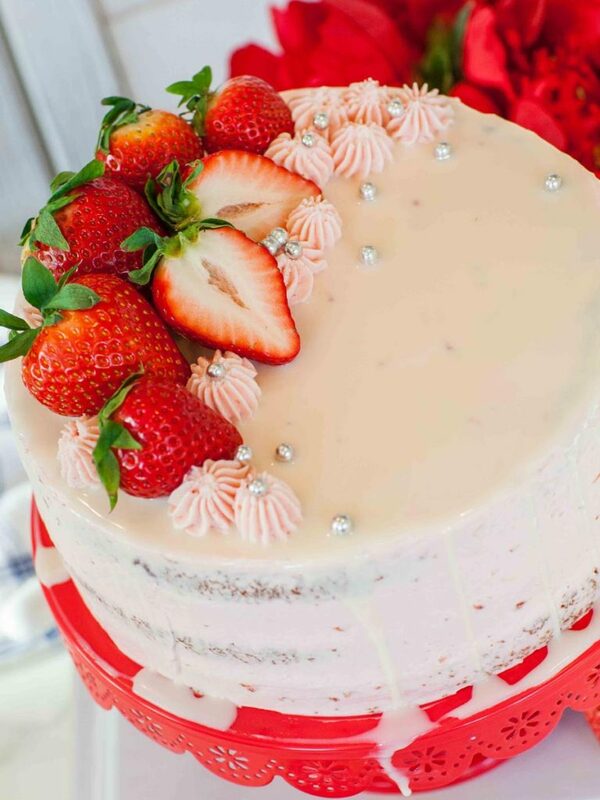 The strawberry emulsion is also great for adding tons of strawberry flavor to the buttercream. 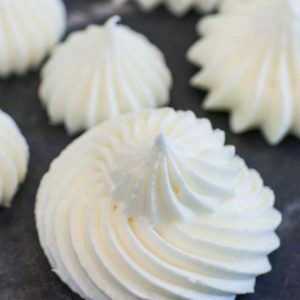 Adding certain flavors to buttercream can be tricky and this is especially true with fruity buttercream recipes. Adding too much liquid or acid to a buttercream can cause it to break or separate. For this strawberry buttercream, I added just enough strawberry preserves to add the appearance of strawberry, then added the emulsion to add the flavor. It’s important to add the preserves at the very end of the recipe. First, make the buttercream super light and fluffy, then add the preserves and mix just until combined, about 15 to 20 seconds. 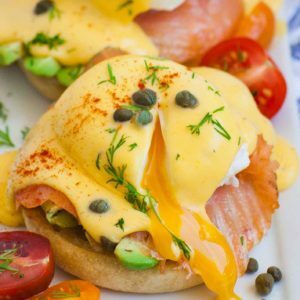 Similar Recipes To This One! Want more strawberry basil recipes? 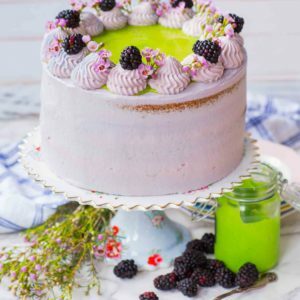 Check out these amazing desserts! I love these aluminum cake pans for baking cake layers. I pair them with these pre-cut parchment paper rounds – huge time savers! 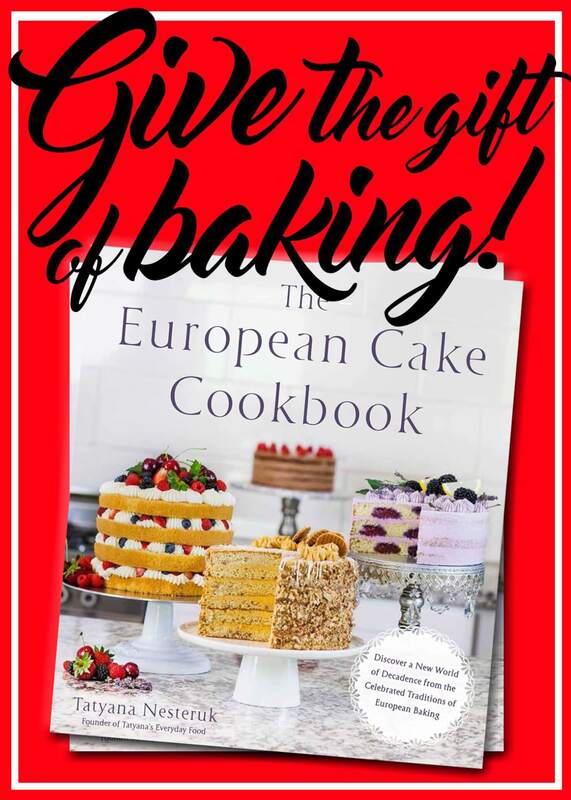 All my favorite tips in one spot – these jumbo cake decorating tips are perfect for all cake decorators! I use these cake spatulas, paired with this cake scrapper, to decorate all my cakes. And I love my classic Ateco turntable for decorating – a true must-have for anyone who loves to bake! Enjoyed this recipe? Save and share it on Pinterest! Preheat the oven to 350F and line two, 8-inch cake rounds with parchment paper. Prepare one recipe of my 'Basic Vanilla Cake', linked above in the post. To the finished batter, add the strawberry preserves and the strawberry emulsion. Fold the preserves gently into the batter, then divide it evenly between the two prepared pans. Bake the layers in the preheated oven for 28 to 30 minutes. 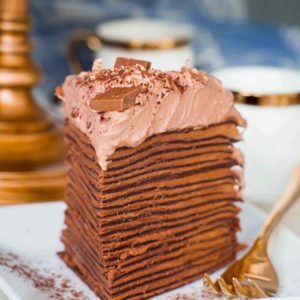 Allow the layers to cool completely before assembling the cake. For the strawberry buttercream, place the softened butter into a mixer bowl and whisk on high speed for 5 to 6 minutes, until the butter is light and white in color. Add the confectioner's sugar and whisk again for a few minutes. Once the buttercream has reached the perfect consistency, add the strawberry preserves and emulsion. Whisk again but just until the strawberry is incorporated, about 20 seconds. Transfer 1 cup of the frosting into a pastry bag tipped with any star tip. The basil filling is best if used right away; I recommend waiting to make it until the layers are cooled. Place the basil and confectioner's sugar into a food processor. Pulse the basil and sugar together for a few minutes, until a thick paste forms. Add the chilled heavy cream and pulse again for a few minutes, until the finished product is a fluffy, soft peak whipped cream. 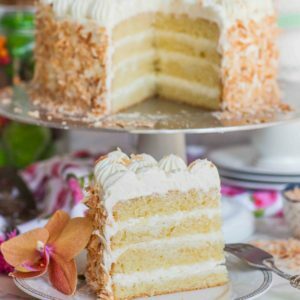 To assemble the cake, use a long serrated knife to slice each layer in half, creating 4 layers total. Spread a few tablespoons of the strawberry buttercream onto each layer, then pipe a barrier ring of frosting around the edge of the layer. Fill the center with a generous amount of the basil whipped cream. Repeat this process for the remaining layer, then frost the outside with the remaining strawberry buttercream. Place the cake into the refrigerator to set while preparing the white chocolate glaze. For the white chocolate ganache, combine the milk/cream, 1/2 cup of the chocolate and the shortening in a microwave-safe bowl or measuring cup. Heat for 1 minute, then stir until the chocolate is melted. Add the remaining 1/4 cup chocolate chips to help cool down the ganache. Allow the ganache to cool for about 15 to 20 minutes, until it's thick enough to pour onto the cake. Pour the glaze over the chilled cake, nudging it gently over the side with a spatula. 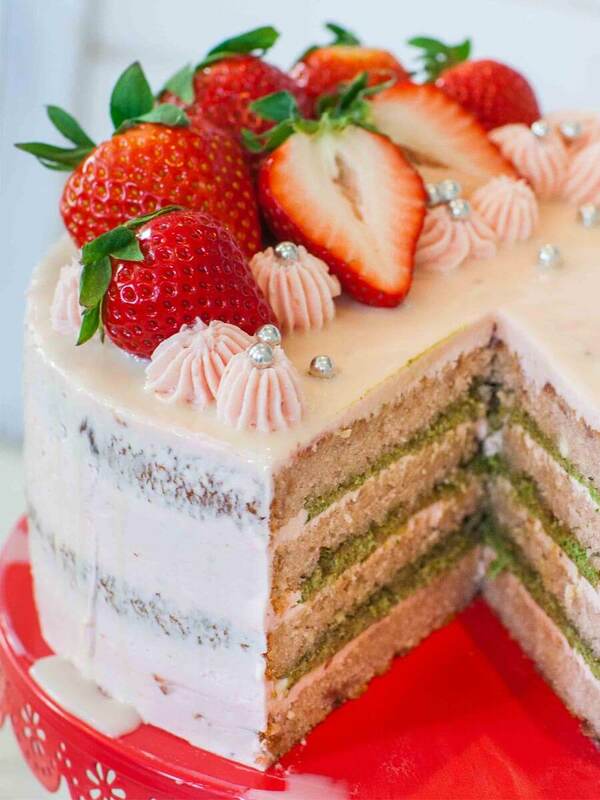 Garnish the top of the cake with fresh strawberries, dollops of cream and silver pearls. Keep cake refrigerated if not serving the same day. Remove the cake at least 1 hour prior to serving to allow the cake to thaw.